Here's a very current layout of my sweet and silly grandsons with their equally silly grandpa. He invited them over to do some "hard work" and they were totally cooperative when "fixing the sprinklers". 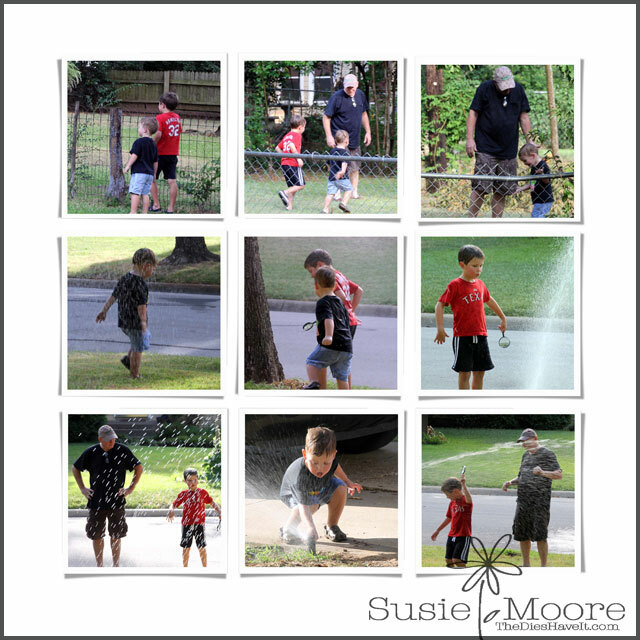 It was fun watching and photographing all of this until they decided Grandma needed to get a little wet too!! It was a great adventure and I wouldn't trade the time with these boys for anything!